The National Theatre officially began with a 1949 Act of Parliament and gave its first performance in 1963 under the direction of Sir Laurence Olivier. In 1967-77 its current three-stage home opened on London’s South Bank. There the Theatre performs diverse works including Shakespeare, classical English drama, translations of ancient and modern dramas, and new plays. It was founded as a populist institution, free of commercial pressure, that is first and foremost “the property of the nation.” Between six and eight plays are in production at any given time. Many seats are modestly priced. The National Theatre has boldly embraced the capabilities of digital technology. Its most visible project is National Theatre Live, an ambitious program of transmissions of live performances from the Theatre to movie houses internationally. The camera director works closely with the stage director once the production has been created to ensure the broadcast respects the integrity of the original production. They review camera rehearsal footage together as part of the process. During the seasons covered by their 2015-2016 annual report, National Theatre Live was seen in 2,000 theaters in 55 countries, and reached 1.5 million people. 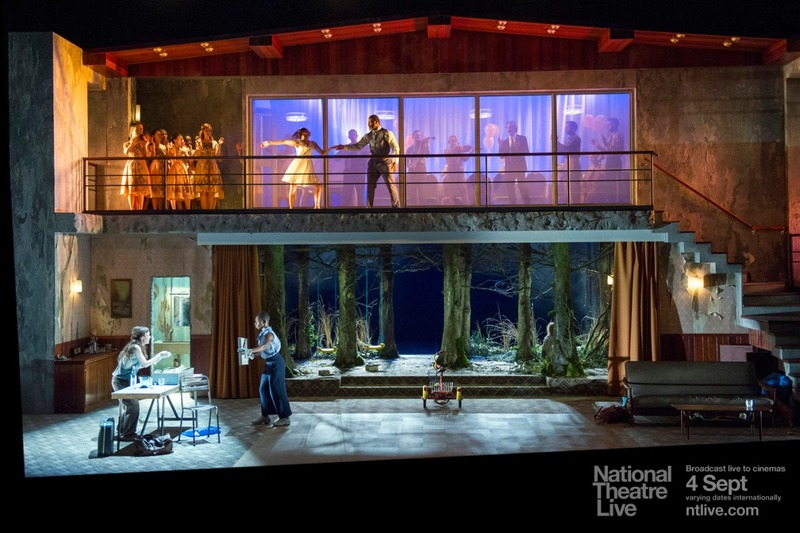 Executive Director Nick Starr reports that National Theatre Live earns its keep, as well, having reached profitability during the 2013-14 season. A 2014 research project showed no evidence that attendance for live theater was harmed by public participation via National Theatre Live transmissions. On the contrary, local attendance to live productions increased in some instances. The National Theatre also creates significant digital content to enhance each production and to help audiences learn more about the art and craft of theater. The National Theatre uses face primary online channels – YouTube, iTunes, iTunesU, SoundCloud, and its own website. Content includes essays, podcasts, photography, exhibits, voice training and other curricula developed by staff artists and directors, and materials created for interactive whiteboards that teachers can adapt for their classrooms. Production-specific stand-alone apps make it easy to view, read, and share information about specific plays that are part of the NT Live season. Additionally, National Theatre On Demand In Schools, launched in September 2015, provides free streamed productions of Hamlet, Othello, and Frankenstein to classrooms. Across live, digital, broadcast, and educational programming and platforms, National Theatre reached an international audience of 7.6 million people over the past year. For its 50th anniversary, the Theatre created Your National Theatre, inviting the public to share their memories, reflections and stories about the organization. An accompanying iPad app highlights 50 notable productions over the Theatre’s first 50 years through images, interviews, costume and set designs, archived program articles, video and audio. Digital at the National Theatre is a robust department of some 13 people. The three key areas the digital group pursues come directly from the overarching organizational strategies of strengthening access, amplification, and innovative engagement. The result is unusually high-quality digital media offerings that bring the National Theatre’s work to new audiences.